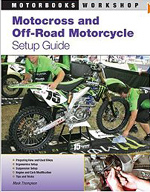 Type "motorcycles" in the search box at left and be taken directly to Amazon.com's Motorcycle Book Store, with links to their other departments as well. 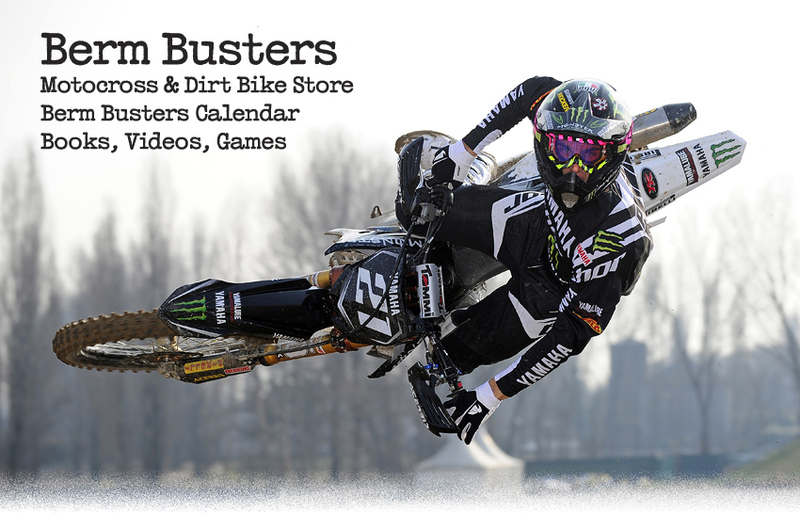 Now you can enjoy forever my best photos of the the world's greatest motorcycles with beautiful models, and exciting action photos of the world's top roadracing and motocross stars! Some of my greatest classic motocross photography is now avaialble in print, poster and mounted display form on paper and canvas. 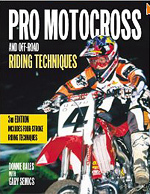 The ultimate book on motocross bike history, design and technology, performance and tuning. 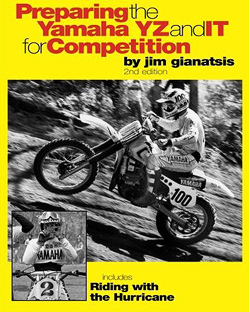 Includes many of Jim's classic race photographs from the sport's beginning in the 1960-80s with Brad Lackey, Bob Hannah, Tony D. Roger DeCoster. Plus photos and details of all the exotic works bikes of the era. Chapters on 2 and 4-Strokes Engines, Porting, Carburetion, Suspension Design & Tuning, Tires. 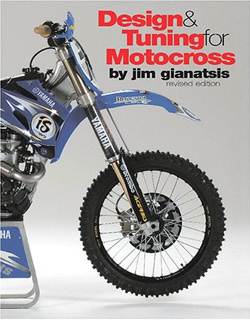 First published in 1979 as the "Moto-X Fox Guide to Preparing the Yamaha YZ and IT for Competition", this 64-page book covers development and racing history of the Yamaha 2-stroke and 4-stroke motocross and enduro bikes from the DT models raced by the Don Jones family in the early 1970s, through to to the exotic YZ, OW and TT-500 machines raced by Hakan Andersson, Pierre Karsmakers and Bob "Hurricane" Hannah up to 1980. 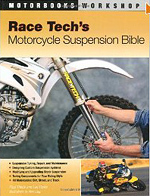 Includes race bike preparation from famed Yamaha factory mechanic Keith McCarty, and "Riding with the Hurricane" Track Ridng Instructions tips by Bob Hannah. 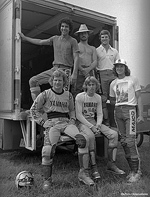 First published in 1978 as the "Moto-X Fox Guide to Preparing the Suzuki RM and PE for Competition", MX Fox was the leading privateer team in AMA National Motocross using Suzuki RM bikes, developing engine performance and long travel adjustable, no-fade suspension. Team rider Pat Richter placed as high as 2nd at the Hangtown National, and many Fox riders like Mark Barnett and Steve Wise went on to become factory riders and garner National titles. 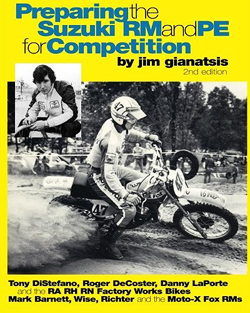 Book covers development and evolution of the Suzuki factory RA, RH and RN works bikes and RM and PE production bikes from 1967 through 1981. 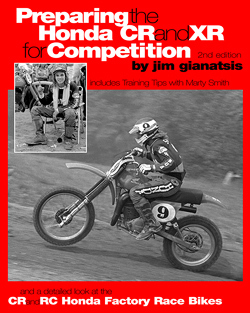 First published in 1979 as the "Moto-X Fox Guide to Preparing the Honda CR and XR for Competition", Fox was the leading privateer team in AMA Motocross using Honda CR bikes, developing engine performance and long travel suspension. Included is a later 1981 Supplement featuring the new CR Production and RC factory bikes with watercooling and Pro-Link rear suspension. 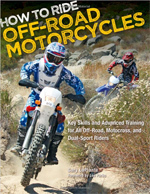 Includes training tips from Marty Smith. Covers design and evolution of the Honda factory RC works and CR production bikes from 1972-1981. Plus photos of the exotic RC 125-80 2-cylinder, leading link front suspension works bike out-lawed by the FIM. Click on the Covers and you will be taken directly to Amazom.com to review and order these great books and Video Games! 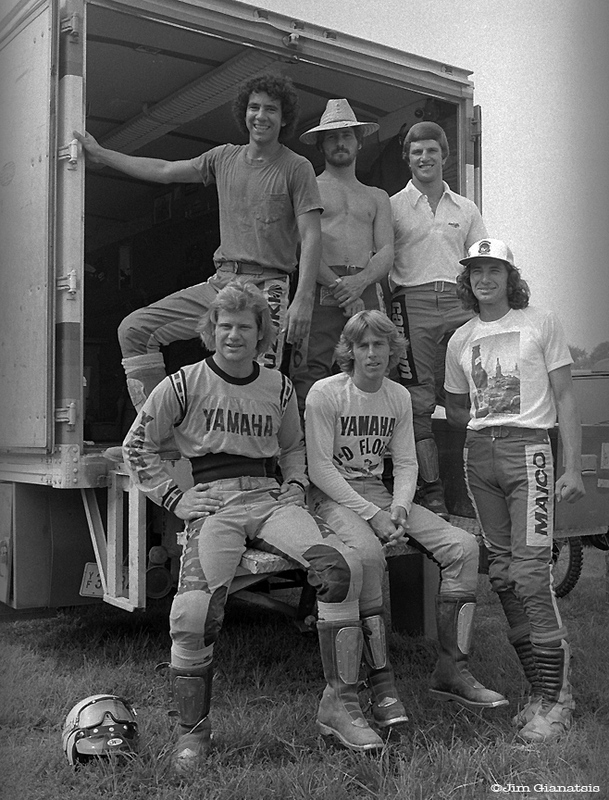 The true story of the year privateer motocrosser Marty Moates beat the World. Later Marty would tragicly take his own life. Order any of the above books or games just by clicking on their covers. join them in Members Corner.